Amy Gardner was a 2001 graduate of Andrews High School. She was active in tennis, cheerleading, Fellowship of Christian Athletes, and Key Club. 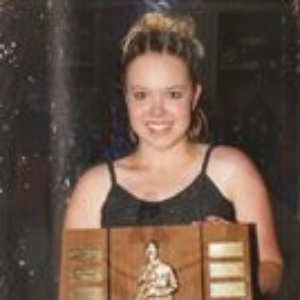 A four-year letterman in the Mighty Mustang Band, Amy earned a percussionist chair in the All-Region Band three consecutive years. She was also an Area Band qualifier and a State Solo and Ensemble qualifier. Amy was a pianist in the AHS Jazz band and won the Louis Armstrong Award her senior year. 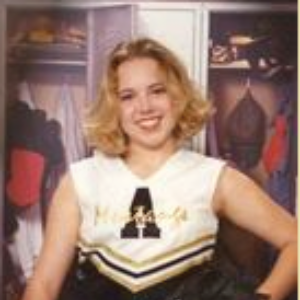 Amy was a member of the National Honor Society and was secretary of the AHS Chapter of the Future Teachers of America. The Louis Armstrong Jazz Award has been renamed the Amy Gardner Memorial Award and Scholarship. Amy was killed in a car accident in March of her freshman year at the University of Texas of the Permian Basin. She was an education major. Tryouts are April 23rd in the Upper Gym. Tryouts are closed to the public.